A group of investors representing over $13 trillion in assets and led by Ceres’s Investor Network on Climate Risk recently submitted recommendations to various global stock exchanges for a uniform mandatory stock exchange standard on corporate environmental, social and governance (ESG) reporting. These recommendations follow Ceres’s April 2013 consultation paper on this topic. The University of Pittsburgh Institute for Entrepreneurial Excellence Celebrates 20 Years of Empowering Local Entrepreneurs! By: Justin A. Saporito, MAZURKRAEMER Law Clerk Founded in 1993 and run out of the University of Pittsburgh Joseph M. Katz Graduate School of Business, the University of Pittsburgh Institute for Entrepreneurial Excellence (IEE) began with a $300,000 grant and the mission of being the “innovative leader of economic renewal and growth serving enterprising people and businesses in the region.” In pursuit of this mission the IEE utilizes a dynamic approach of programs and services including monthly workshops, customized consulting, social initiatives, educational programs, professionally-led peer forums, and social events. The Company You Own Files Bankruptcy: Can Creditors Still Come After You? As is almost always the case, principals of a distressed business have personally guaranteed the debt on a credit line or property or equipment lease. When a business files bankruptcy, an automatic stay is imposed against any adverse actions taken against the business entity, the Debtor. But what about the owners of the business? 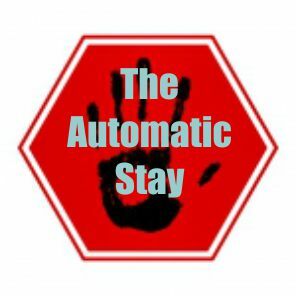 Often, I find myself seeking to extend the automatic stay injunction to those principals. This issue came up in a recent case we had pending in the Fourth Circuit. We were compelled to find case law regarding the standard for relief. A factual example would be as follows: A distressed business ABC Recylcing owns a building, and the building has a mortgage on it in favor of Meanie Bank, N.A. The business falls behind on payments. Meanie Bank initiates a foreclosure action to set an auction to sell the building. Jake, the owner of the business had to sign a guaranty in order for ABC Recycling to get the loan with Meanie Bank. ABC Recycling still operates with the faint hopes of reorganizing through a Chapter 11 bankruptcy. Once the Chapter 11 is filed, the foreclosure action is stayed as to ABC Recycling, but now the Meanie Bank is going after Jake. Help, my clients say. ISSUE: Pursuant 11 U.S.C. §105 and §362 of the Bankruptcy Code, is a court likely to grant an injunction to protect the principal of a bankrupt business? I know, the phrase "conscious uncoupling" is extremely trite by now, but even The Economist joined in on the joke, so I thought, "why not"? Plus, it's actually relevant to this post, I promise.Brookstone, a specialty retailer of luxury gadgets like massage chairs, has filed for bankruptcy with a deal to sell its assets to Spenser Spirit. Coldwater Creek files for Chapter 11 Bankruptcy Protection | April 11, 2014 Coldwater Creek and 7 affiliates filed for protection under Chapter 11 of the United States Bankruptcy Code on April 11, 2014 In the United States Bankruptcy Court for the District of Delaware under Case No. 14-10867-BLS-11. The Debtors in the proceedings (including the last four digits of ... The post Coldwater Creek Chapter 11 Bankruptcy Filing | April 11, 2014 appeared first on Culhane Meadows PLLC - Dallas Chapter 11 Business Bankruptcy. Read More from: Richard G. Grant, P.C. A homestead is now automatic without the need to file a declaration of homestead, and protects equity in a residence up to $125,000.00 in value (M.G.L. c. 188, §§1 & 4). If a homeowner records a homestead declaration in the appropriate registry of deeds signed by all owners of the residence, the homestead protects up to $500,000.00 in equity in the residence; however, the homestead declaration must be separate and not included in the deed to the property (M.G.L.. c.
In my practice, I see it all the time: an elderly couple come to talk about their debts. Inundated by credit cards and living on a fixed income, they see no help in sight. But, their retirement can’t be garnished and the credit industry can’t get at it (in most cases). Social security is almost completely protected from creditors. And, so is the house: a credit card company can’t force you to sell your home even if you owe them a lot of money. At least not in California, and, I would guess, most other states as well. So, what possible benefit can there be to an elderly couple to file bankruptcy? Here are four good reasons why not to file: 1. It’s humiliating. We were all taught to pay our debts; and no one wants his or her neighbors to know that they can’t handle their economic obligations. 2. It costs money. The attorney and the court have to be paid. 3. It “ruins” a perfectly good credit score. 4. It sets a bad example for the children. Those are very good reasons not to file; but the benefits far outweigh the detriment. Four of the many advantages to filing a bankruptcy: 1. It stops the collection calls and letters. 2. It will, ultimately, improve your credit score. 3. It teaches responsibility: facing your economic problems and doing something. 25% of companies are still in the early stages of compliance with the conflict mineral rules that require public disclosure on June 2, according to the latest PwC survey on where companies stand. These companies are finalizing scoping or planning and performing their reasonable country of origin inquiry, but have not yet started evaluating those responses, which is becoming the primary focus as the reporting deadline looms near. Overall, only 45% had sent an initial inquiry to more than three-quarters of their possible suppliers, and only 47% had received fully completed responses from more than half of those suppliers asked. The survey received 700 responses representing 15 industries. An SEC press release announced that a whistleblower who had already attained an award in 2012 received an additional $150,000, for a total of $200,000, after the SEC collected more money from one of the defendants in the case. The award represents 30% of the amount collected by SEC enforcement, the maximum allowed. The press release noted that the SEC is barred from providing information which could expose the identity of the whistleblower. I LOVE The Daily Show. It's one of the only two shows that I ever watch (the second being Colbert Nation). 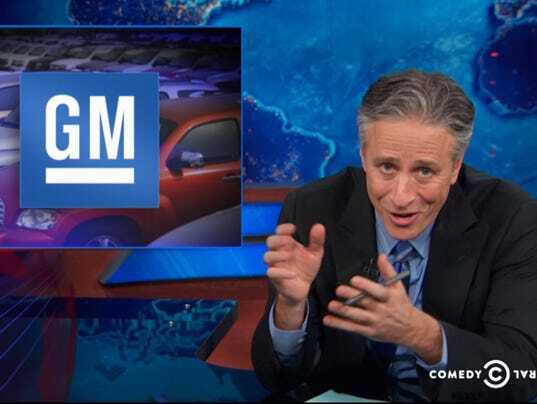 Last week, Jon Stewart discussed how the post-bankruptcy GM is immune from liabilities related to accidents caused by vehicles made by pre-bankruptcy GM. The automaker's fledgling CEO Mary Bara led the recall of approximately 2.6 million vehicles with faulty ignition switches. This defect is linked to at least 13 deaths, which is especially controversial because GM has known about this since 2005. The latest issue of ISS Board Practices reflect incremental but meaningful changes in several key governance areas. For the first time, just slightly more than half (51%) of S&P 1500 companies have two people serving as CEO and chairman. Stark differences divide companies depending on size, as 30% of mid-caps are led by independent chairs compared to only 22% of large-cap companies. The largest companies are more likely to have lead directors, however. As a reminder that ISS policies do not always coincide with company determinations, 17% of the chairmen that companies consider to be independent are deemed "affiliated" by ISS. Chapter 13 is not just for consumers. An individual in a sole proprietorship (or who is engaged in some business activity, such as renting properties as a landlord) has Chapter 13 available to him or her, provided that he or she meets the debt limits in 11 U.S.C. §109(e) and has regular income (either via the business activities or from other sources, such as separate employment). Chapter 13 is not available to partnerships (although individual partners may file), corporations or LLCs that operate businesses. Chapter 13 has much to recommend it over Chapter 11 if the debtor’s goal is reorganization and preservation of his or her business. 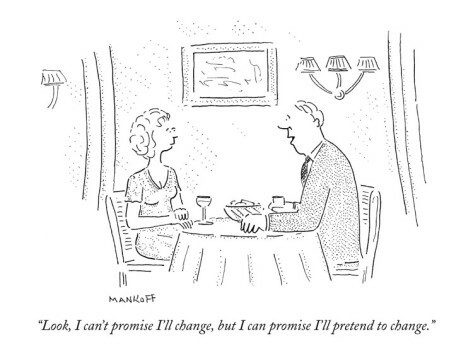 For one, a Chapter 13 plan is easier to propose and confirm than a Chapter 11 plan (fewer confirmation standards, no absolute priority rule, and no disclosure statement requirement). The debtor also has the ability to stretch out and pay administrative claims and priority debt over years, rather than meeting the Chapter 11 requirement to pay such claims in full on confirmation. Other benefits include the (much) cheaper filing fee; the right to cure mortgage defaults over the life of the plan; no quarterly U.S. Trustee fee; no monthly operating reports; and no requirement that the debtor’s attorney be approved under 11 U.S.C. §327. The enhanced discharge in 11 U.S.C. Nikolaus J. Caro Unlike real estate transactions where a lender can obtain title insurance, secured lenders are often relying upon the representations and warranties in their loan agreement and the borrower’s audited financial statements, if and when determining whether the collateral securing their loans is owned by the borrower or another pledgor. After default, a lender may find itself in a precarious position whereby it is unable to foreclose on the collateral because it is not owned by its borrower and it does not have a pledge from the person that actually does own the property. According to the Third Circuit, however, certain oversights may not affect the lender’s position as a secured creditor. In In re WL Homes 534 Fed. Appx. 165 (3d Cir. 2013), the court dealt with the issue of whether or not a deposit account owned by a wholly-owned subsidiary of the debtor was properly pledged despite the fact that the owner of the deposit account did not sign a pledge agreement. Brookstone files for Chapter 11 Bankruptcy in Delaware | April 3, 2014 Brookstone and 10 affiliates filed for protection under Chapter 11 of the United States Bankruptcy Code on April 3, 2014 In the United States Bankruptcy Court for the District of Delaware under Case No. 14-10752-BLS-11. James M. Speltz is the President and Chief Executive Officer of Brookstone Company, ... The post Brookstone files for Chapter 11 Bankruptcy in Delaware on April 3, 2014 appeared first on Culhane Meadows PLLC - Dallas Chapter 11 Business Bankruptcy. Somewhat to my surprise, I could not find, in a Google search I ran earlier today, a good online explanation of the bankruptcy law issues pertaining to the extent of "New GM's" liability, if any, "for at least 31 crashes and 13 deaths" resulting from an ignition defect that may have been concealed from the outside world until well after government-controlled New GM's purchase of the operating business of General Motors in 2009. So I thought I would write one.According to a helpful timeline NPR pulled together (see above link), all of the design and/or manufacturing defects, and internal awareness of the defect, occurred long before "old GM" (now known as Motors Liquidation Company) commenced its chapter 11 case in 2009. This means that any tort claims arising from the defect were pre-petition claims and their creditors, to the extent old GM gave them legally adequate notice of the asset transfer to new GM are bound by the Bankruptcy Court's order approving that sale. The general rule on notice is that claimants known to old GM should have been sent actual notice in the mail, and widespread publication would bind claimants unknown to old GM (those who had sustained an injury but not yet sued or demanded a payment outside of a lawsuit). Tort claimants were very active active in the bankruptcy case and even took appeals of the Sale Order to the U.S.
'Amend and Pretend' or 'Fake it 'till you Make it'? It seems as if any time companies aren't defaulting in droves, they are "amending and pretending". That is, companies renegotiate covenants and borrowing terms with their lenders to obviate a technical default that would lead to a larger restructuring. The Wall Street Journal's Bankruptcy Beat Blog has a new section in which bankruptcy and restructuring professionals opine on a chosen topic. The first one question proffered to the experts was essentially: isn't corporate restructuring on life-support because of low interest rates and maturities being pushed out to 2017 and 2018? I'd encourage you to read the post and the contributors' assessments because they provide a panoply of viewpoints on the matter. You can read all the posts here.Many argue that companies issuing high yield bonds or leveraged loans have too much debt, and they can only service the debt because lower rates result in low cash interest expense. If you read LCD, you'll see the data corroborating this hypothesis. On March 31, 2014, the Supreme Court of the United States denied certiorari in Bank of America, N.A. v. Sinkfield, Petition No. 13-700. To put it in terms appropriate to Major League Baseball’s opening day, this was the equivalent of Casey’s mighty whiff at strike three in the ninth inning, with the bases loaded, a full count, and the chance for a walk-off win. The elements were all in place; a “rogue” circuit makes a holding that three other circuits would not dare to make, on an issue that many debtor lawyers fantasize about revisiting and that many banks dread like a recurring nightmare. The 11thCircuit (albeit summarily, in an order) held that a fully unsecured second mortgage lien could be “stripped off” a Chapter 7 debtor’s residence in Georgia, when the value of that residence is only enough to (partially) secure the first mortgage lien. The 11th Circuit based the order on its previous (unpublished) decision in In re McNeal, No. 11-11352 (11th Cir. 5/11/12), in which the circuit limited the Supreme Court’s decision in Dewsnup v. Timm, 502 U.S. 410 (1992) to prohibiting the strip-down of partially secured first mortgages in Chapter 7. The McNeal court held that fully unsecured second mortgages are fair game to be stripped off under 11 U.S.C. §506(d), and relied on its own, pre-Dewsnup 1989 decision, Folendore v. United States Small Bus. Admin., 862 F.2d 1537 (11th Cir. 1989), as precedent for doing so.